A very interesting interior image of this chapel was taken in 1975. 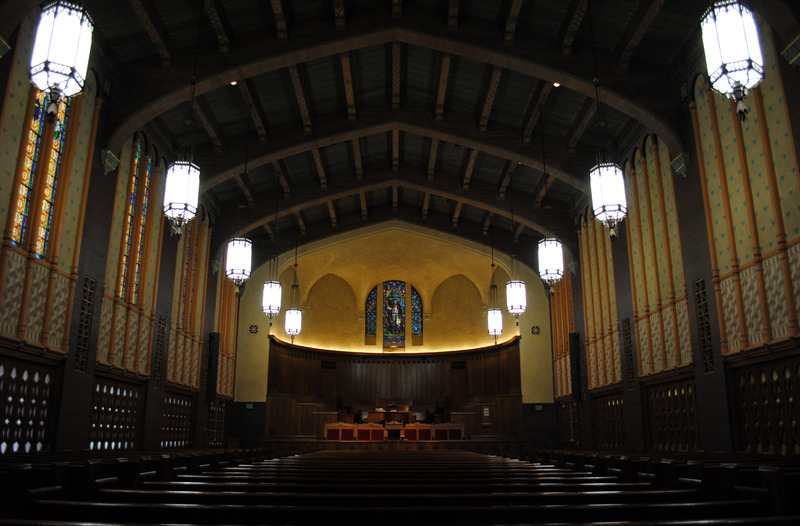 This chapel contained quite an extensive shrine to Joseph Smith as the focal point of the chapel until 1976 when the entire rostrum was remodeled by Carpenter and Stringham architects to the layout seen today. 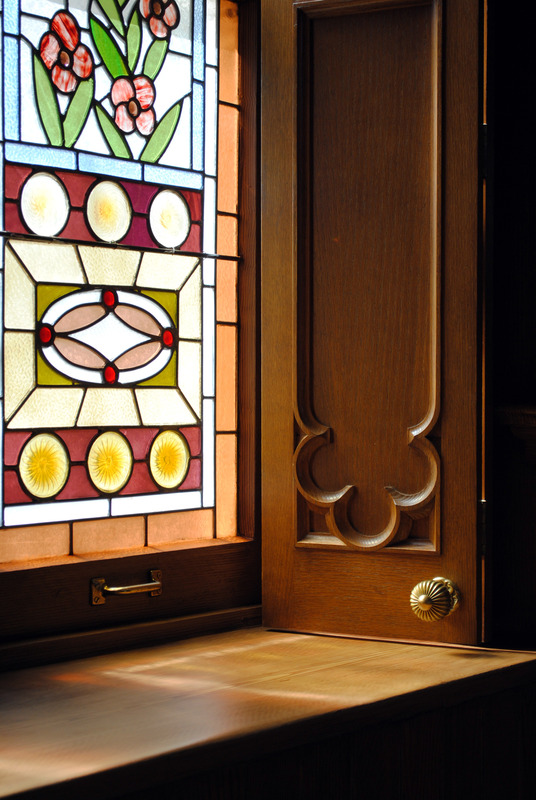 Other items of interest from the pre-1976 chapel is the sacrament table located to the side amongst the pews and at a 90 degree angle to the front. 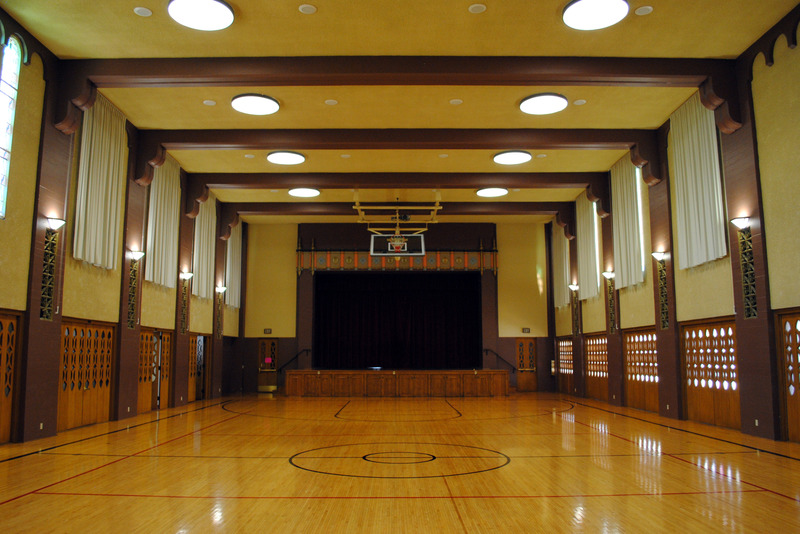 And at the left side can be seen large accordion doors that opened to a Recreation Hall which was added in 1925 by architect George Cannon Young. It is unfortunate that more of the original rostrum could not have remained. 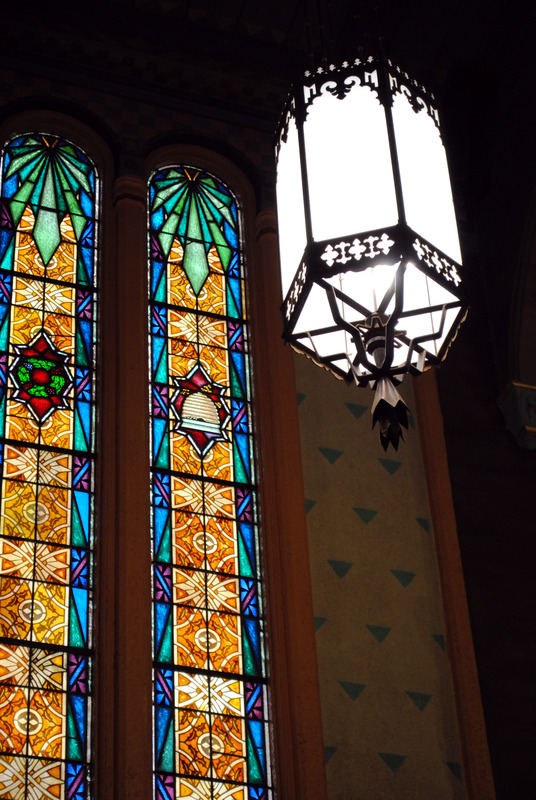 Almost every thing about the original is more interesting and beautiful than than what is there now. 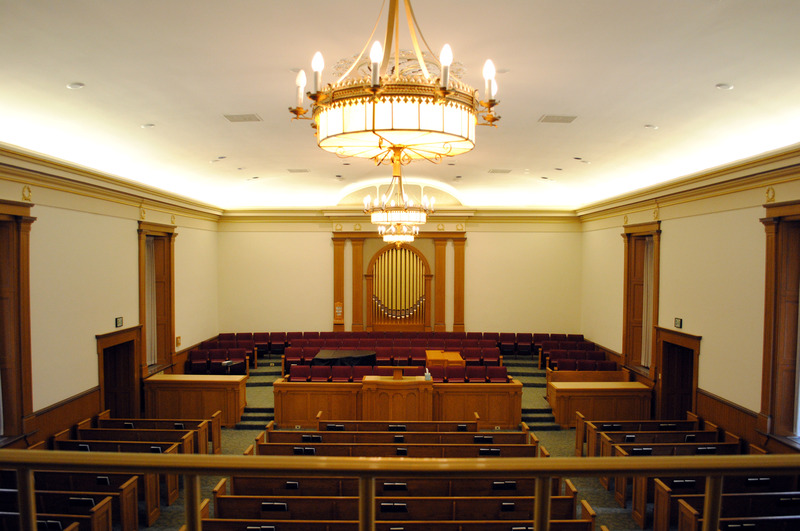 This building is unique in that every President of the Church has spoken from its pulpit except for Joseph Smith. Ground was broken by Lorenzo Snow on Feb 11, 1857, with the first stone being laid the next day. Construction was halted and grain stored in its 6′ deep x 9′ high stone foundation during the Utah War in 1858. Built almost entirely of local material and local labor, the building cost was about $60,000. 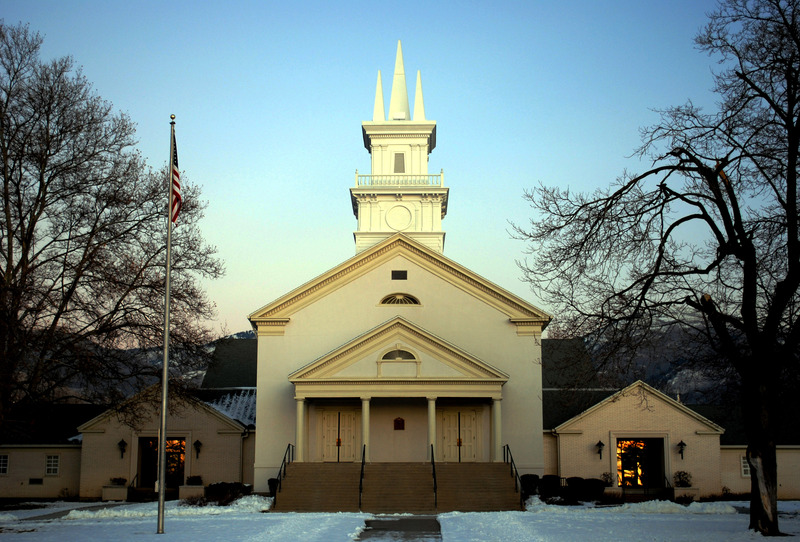 The tower is capped with a unique 5-spired steeple that was part of the original Greek Revival design. Built of adobe walls and roof timbers fastened with wooden pegs, the building was dedicated on March 14, 1863 by Heber C. Kimball at a meeting presided at by Brigham Young. The spires were blown off the tower during a wind storm in 1906. 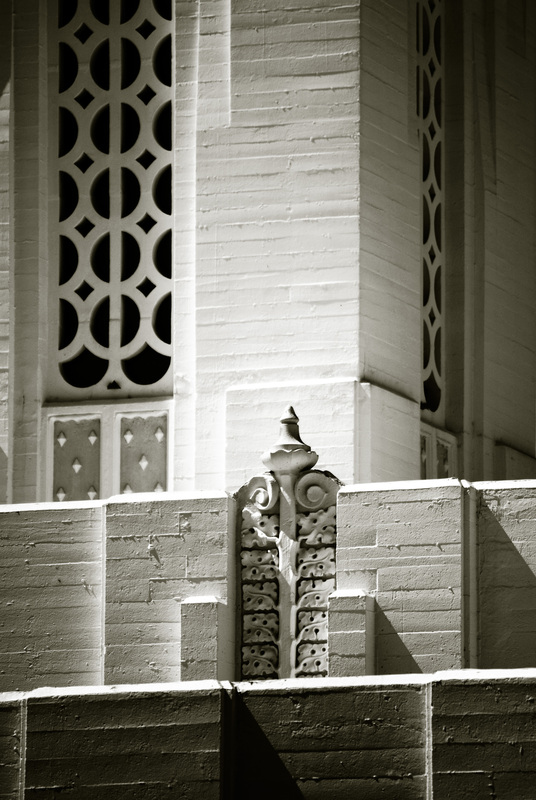 Although repairs were attempted several times, the spires would remain off the building until they were finally replaced in 1955. A north wing with amusement hall and classrooms was added in 1925. 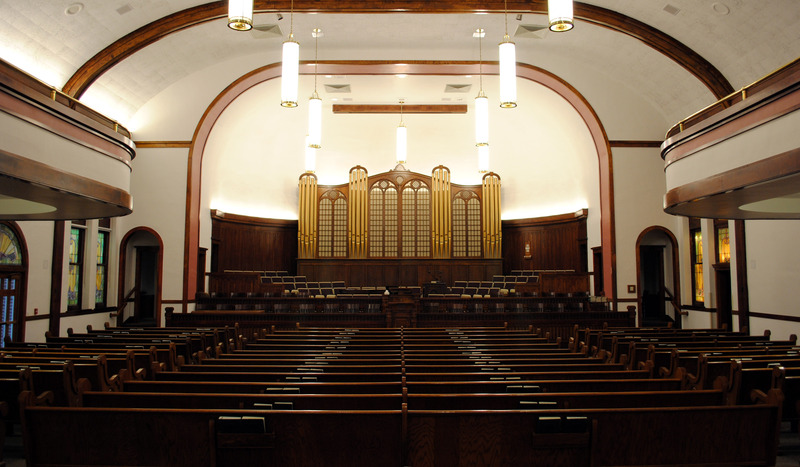 Installation of a new pipe organ and a complete remodel happened in 1942. And a rear wing was added containing a Relief Society room, kitchen and offices in 1957. March 14, 1963 featured a Centennial celebration, where Hugh B. 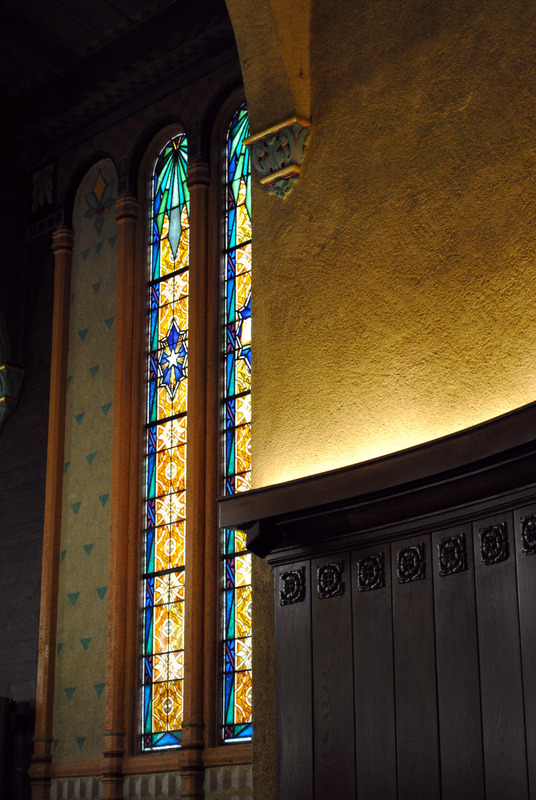 Brown rededicated the building for another hundred years. 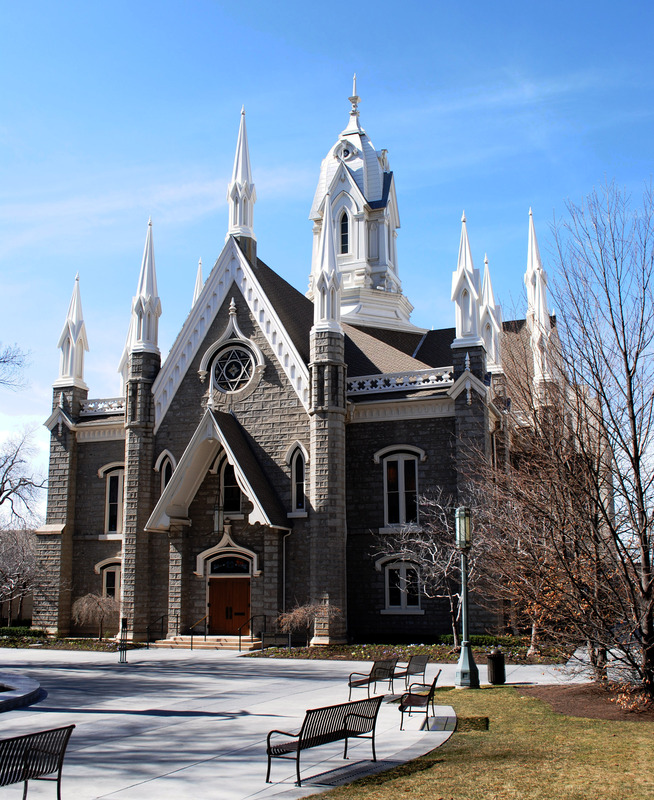 Placed on the National Register of Historic Places in 1976, the Tabernacle today remains the oldest chapel in continuous use in the state of Utah, if not the entire Church.